August 4 is the 216th day of the year(217th in leap years) in the Gregorian calendar.There are 149 days remaining until the end of the year. Year 367 (CCCLXVII) was a common year starting on Monday of the Julian calendar. At the time, it was known as the Year of the Consulship of Lupicinus and Iovanus. The denomination 367 for this year has been used since the early medieval period, when the Anno Domini calendar era became the prevalent method in Europe for naming years. Richard de Clare, 5th Earl of Hertford, 6th Earl of Gloucester, 2nd Lord of Glamorgan, 8th Lord of Clare was son of Gilbert de Clare, 4th Earl of Hertford and Isabel Marshal. He was also a powerful Marcher Lord in Wales and inherited the Lordship of Glamorgan upon the death of his father. He played a prominent role in the constitutional crisis of 1258–1263. Year 1281 (MCCLXXXI) was a common year starting on Wednesday of the Julian calendar. Year 221 (CCXXI) was a common year starting on Monday of the Julian calendar. 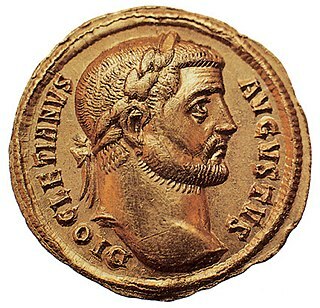 At the time, it was known as the Year of the Consulship of Gratus and Vitellius. The denomination 221 for this year has been used since the early medieval period, when the Anno Domini calendar era became the prevalent method in Europe for naming years. Lady Zhen, personal name unknown, was the first wife of Cao Pi, the first ruler of the state of Cao Wei in the Three Kingdoms period. 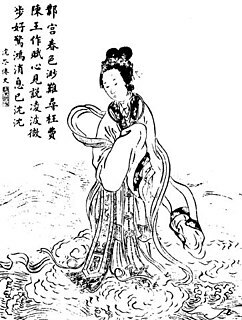 In 226, she was posthumously honoured as Empress Wenzhao when her son, Cao Rui, succeeded Cao Pi as the emperor of Wei. The Blessed Frédéric Janssoone, O.F.M., was a French-born Franciscan friar and Catholic priest who worked in France, Egypt, Palestine and Quebec, where he died. He was a popular preacher who re-established the Order of Friars Minor in Canada. He has been beatified by the Catholic Church. Jean-Baptiste-Marie Vianney, T.O.S.F., commonly known in English as Saint John Vianney, was a French parish priest who is venerated in the Catholic Church as a saint and as the patron saint of parish priests. He is often referred to as the "Curé d'Ars", internationally known for his priestly and pastoral work in his parish in Ars, France, because of the radical spiritual transformation of the community and its surroundings. Catholics attribute this to his saintly life, mortification, persevering ministry in the sacrament of confession, and ardent devotion to the Blessed Virgin Mary. His feast day is 4 August. Saint Molua, , was an Irish saint, who was a Christian abbot in the Early Middle Ages. Saint Molua's feast day is on August 4. Aristarchus or Aristarch, "a Greek Macedonian of Thessalonica", was an early Christian mentioned in a few passages of the New Testament. He accompanied Saint Paul on his journey to Rome. Along with Gaius, another Macedonian, Aristarchus was seized by the mob at Ephesus and taken into the theater. Later, Aristarchus returned with Paul from Greece to Asia. At Caesarea, he embarked with Paul on a ship of Edremit (Adramyttium) bound for Myra in Lycia ; whether he traveled with him from there to Rome is not recorded. Aristarchus is described as Paul's "fellow prisoner" and "fellow laborer" in Colossians 4:10 and Philemon 1:24, respectively. Saint Euphronius or Saint Eufronius was Bishop of Tours from 555 to 573. ↑ Annie Smyth; Adam Seftel (1998). Tanzania: the story of Julius Nyerere through the pages of Drum. Mkuki na Nyota Publishers. ↑ Gary D. Keller (1 January 1997). A Biographical Handbook of Hispanics and United States Film. Bilingual Press/Editorial Bilingüe. ISBN 978-0-927534-65-9. ↑ Communist infiltration of Hollywood motion-picture industry. 1951. ↑ Kerr, Leah M. (Fall 2013). "Collectors' Contributions to Archiving Early Black Films". Black Camera: 283–284. ↑ Burson, Jeff (July 6, 2008). "Stargate and Twin Peaks Actor Don S. Davis". Birmingham Star. Retrieved August 4, 2018. ↑ "Goodfellow, Prof. Peter Neville". Who's Who 2018. Retrieved 2 November 2018. ↑ Lentz, Harris M. (2010). Obituaries in the Performing Arts, 2009: Film, Television, Radio, Theatre, Dance, Music, Cartoons and Pop Culture. Jefferson, N.C.: McFarland and Company. p. 221. ISBN 978-0-7864-4174-7. ↑ Vice, Tyranny, Violence, and the Usurpation of Flanders (1071) in Flemish Historiography from 1093 to 1294, Jeff Rider, Violence and the Writing of History in the Medieval Francophone World, ed.Noah D. Guynn, Zrinka Stahuljak, (Boydell & Brewer, 2013), 65. Wikimedia Commons has media related to August 4 .